The evolution of robotic technology is, in part, a function of the related technology ecosystem and the rapidly improving capabilities of the technology areas that are being built into robots. One of the most influential technology areas that is helping to deliver modern intelligent robotics is Artificial Intelligence (AI). In this sense, I am considering Machine Learning, Deep Learning, Cognitive Computing, and such under the umbrella of AI. AI is not just about technology that can think for itself, in fact, AI is more a function of a robust set of inputs and outputs that allows a machine to make intelligent decisions based on a deep data base of existing knowledge, coupled with the ability to continuously add to that data set and respond to its environment in real time. In January, IDC spent time visiting with Kindred.ai, RightHand Robotics, and Nvidia to discuss the role that AI plays in the evolution of modern commercial service robotics. One particular use case, which was the focal point of several of these conversations, is the use of robotics for picking and handling eaches within the fulfillment process. Robotics is a very hot topic lately. AI is a very hot topic lately. Put them together and you get a topic that is both tremendously interesting and a bit fear inducing. For many folks, the idea of AI enabled robotics brings visions of science fiction and intelligent robots that take over the world. However, before intelligent robots can take over the world, they need to learn how to do things, and do them better and more efficiently than humans. Or at least nearly as well as humans but at a better cost with a higher ceiling in terms of process improvement opportunity. It is this notion of doing things better than humans that has historically been challenging. Robots are incredibly complex technology that require advanced mechanical capabilities as well as advanced software and programming to do things (traditionally). However, there has been a rather recent uptick in the development of more highly capable robots that have emerged and are proving to be far less complex than previous generations of robots in terms of deployment and use. This new generation of robots is much more advanced in terms of the software and components that are built into the robot. Thus, we have evolved to a point where robots are now exceptionally capable yet easy to deploy and use in a business context. While a lot of advancement has been made across the spectrum of related technology areas impacting robots, AI has probably been the most impactful and widely deployed technological innovation helping to drive the evolution of robots. In speaking with several members of the teams at Nvidia responsible for Nvidia Jetson and Nvidia Isaac, it became apparent how widespread the adoption of AI is across the market for robots and how quickly this technology is advancing. Nvidia Jetson provides robots with AI compute power at the edge which enables robots to make real-time decisions, without lag, during operations. 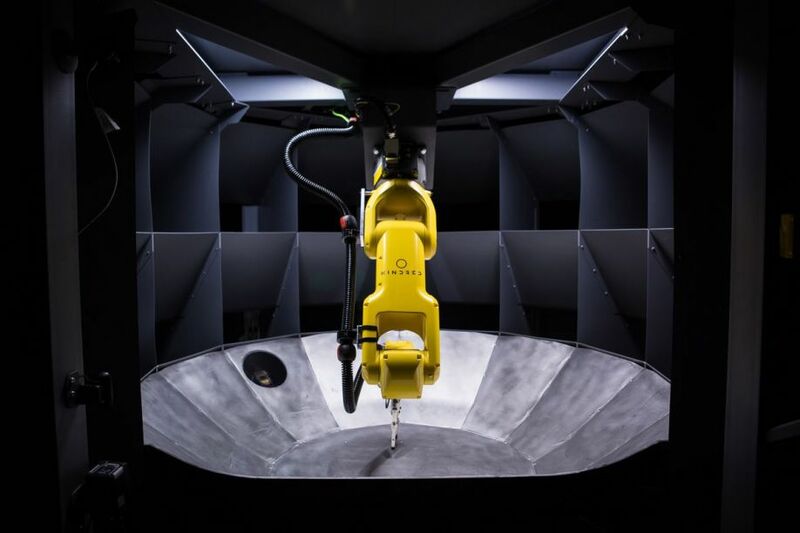 Nvidia has made formal announcements around its deployment of Nvidia Jetson with robotic vendors including Fanuc for use in manufacturing and Komatsu for autonomous construction machinery. Onboard AI is especially important for mobile robots which operate in dynamic environments where people and other equipment are in use. Mobile robots must be able to take in visual and sensor data and be able to process this information, in real time, in order to safely operate without risking a collision with a person or piece of equipment. Nvidia partners with several mobile robotics companies for just this purpose including: JD X, Fellow, and Marble. This is a highly complex issue that has only recently been solved, which has led to the rapid surge in mobile robots being deployed in warehouses, fulfillment centers, and other areas where material handling can be performed by a robot. Interestingly, Nvidia Isaac takes a different slant towards AI and robotics. It is not about onboard AI, rather it is a digital simulation engine that allows a company to virtually simulate scenarios to teach a robot how to act. This is incredibly valuable technology! As I mentioned earlier on, AI is about deep sets of inputs and outputs which is how AI learns what things are, what to do, how to respond, etc. With Isaac, a company leverages a digital database to simulate the learning process that would otherwise take months or even years to produce the AI required to operate a robot. This is an IDC analysts dream come true, a digital twin, AI, simulation engine for robots. Very cool stuff going on there, and when you think about what is happening in robotic development, Nvidia is behind the scenes helping to make all come together. Now, I mentioned mobile robots as a target for AI, but the title says picking. Mobile robots are indeed a part of the picking process. Companies like Locus Robotics, Fetch Robotics, Vecna, MiR, 6 River Systems, and others are really good at handling the movement of materials in the pick process. But, this post is more about the actual picking up of materials. According to RightHand Robotics Co-Founder Leif Jentoft, "the problem of enabling a robot to handle a wide variety of products, and learning how to handle things it hasn't handled before, is very complex in general". Indeed it is, yet that is exactly the problem that they chose to solve at RightHand Robotics, using a combination of hardware innovation and AI-enabled operations. Their technology really started with the innovation of a 'soft' and flexible gripper, leveraging compliant grasping with integrated sensing. 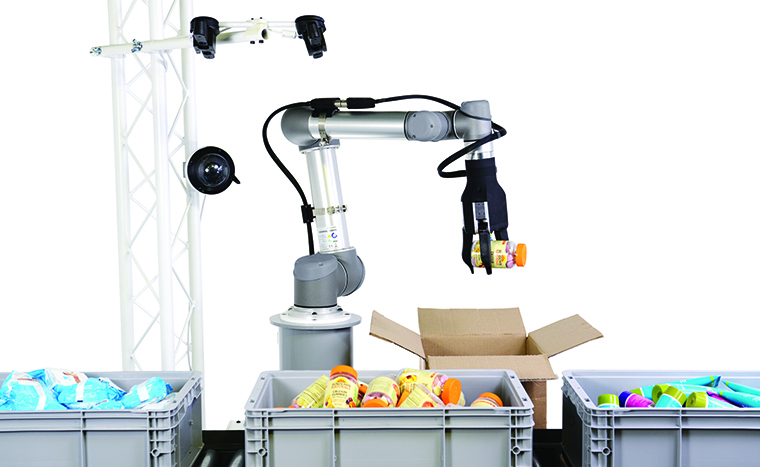 The multi-finger gripper combined with suction allows a robot to effectively grab and hold a wide variety of objects. However, the secret sauce at RightHand is the ability of the robot to autonomously catalog things it has handled, how it has handled them, and so forth. This is where a part of the AI comes into play. The robotic picking solution collects data about the grasp quality from each pick. It can use this “labeled” data to improve picking and to learn how to handle items it has never seen before. What is quite unique here is that robots have really been focused on repetitive tasks, more akin to automation. While the RightHand Robotics technology performs the picking function that’s useful in a range of intralogistics processes, it is anything but repetitive. This robot can pick a bin of completely different items and do so autonomously, which is a massive leap for robots. It opens up the opportunity for companies to deploy robots in areas where it did not make sense before due to the complexities of handling a variety of materials, such as for ecommerce or omni-channel retail order fulfillment. Another interesting company that IDC met with this year with a good story around AI and robotics for picking is Kindred.ai. This company has taken a different slant towards AI and robotic picking. The company is focused more on batch picking. That is, a batch of orders comes down a convey system to the picking station, where the need for flexibility has largely kept this as a manual process. However, the Kindred Sort solution does still work in tandem with humans in the fulfillment center. The company designed a putwall combined with robotics and AI to enable autonomous picking of a variety of items. The robots are designed to get better over time and can even be remotely operated by human pilots to teach the robot how to handle an object that it has not handled before. The robot will learn from that interaction and improve how it responds to that new item in the future. In addition to being a completely useful and interesting solution, the company is also allowing its customers to buy their technology as a service, (Robots as a Service, RaaS). Customers can have the robotic putwall installed and will pay per pick, so the onus of delivering value is not on the fulfillment center, it is on Kindred.ai, which has a vested interest in the successful use of its robotic solution. Furthermore, companies can install the robotic put wall solution without upfront cost, so Kindred.ai is investing in its customers with the promise of shared value through the RaaS model. George Babu, Co-Founder and Chief Product Officer at Kindred.ai said to me "We are finding the value in AI through the ability to teach our robots a range of complex tasks, and with the ability to interact with them in a way that helps the robot to learn how to act under different circumstances. We are finding that fulfillment centers are struggling to find people to work, and this technology is helping companies bridge the gap between scarcity of labor and increasing demand on fulfillment centers”. Artificial intelligence is not some scary thing that is going to result in robots taking over the world (yet). The technology is, however, more prevalent that you might expect, especially considering its role in enabling robots to move and operate and the growth of robotics in non-traditional work environments. The new generation of robots that are smart, mobile, collaborative (or any combination) are using AI in different capacities to add value to the function that they are performing. Whether it is enabling mobility, improving the ability to handle material, or in the case of Nvidia Isaac simulating the learning required for intelligence, AI is delivering improved robotic capabilities and helping businesses to enhance operations through the use of robots. As robots continue to proliferate throughout our working environments, we can be assured that AI is not giving them some nefarious shared brain. Rather, we should embrace the combination of this technology as it is AI embedded within robotics that is enabling robots to do all of new things they are doing that help to make our lives as humans easier.